All day long, the triumvirate (including a strong-minded woman) host tailored tastings to a couple , a few friends or a bigger group. They offer a very smart programme of 20 minutes tastings to people who want to know what they drink. People can choose between a good thirty themes or they can have a tasting tailored to their choice. They have regular customers coming all the way from Joburg for the week-end. I must say I was very impressed with that constant educational goal, achieved in the most friendly and entertaining atmosphere. Wild about Whisky has a good amount of regulars that Eve calls “our groupies”. There is no risk they stop coming for having tasted all the whiskies: Wild about whisky offers around 1600 whiskies to their customers’ curiosity! Unbelievable… and in the middle of nowhere, which makes it even more precious and attractive. We had decided I would run some pairing food and whisky sessions (see cooking). They were welcomed with enthusiasm. 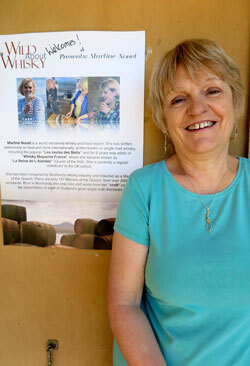 I was impressed by the positive feedback and the real interest people showed in tasting whisky with food. I often have the feeling that people are blasé in Europe. So refreshing to get a keen response. 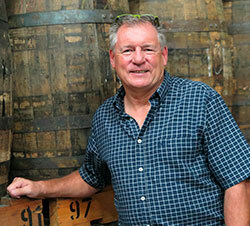 South Africa is certainly one of the most emerging countries for whisky. It is the 5th market and probably one of the faster growing. The James Segdwick distillery in Wellington, not far from Cape Town produces a single grain, Bains, a single malt and a blend under the name Three Ships. At the helm of the “ship”, Andy Watts, a charismatic Yorshire lad who has been living in South Africa for more than 30 years. I came to Wellington to host a whisky dinner, held in a superb wine estate. Val du Charron has been established by Huguenots in the late seventeenth century. It is quite a paradox to try and attract customers in a prestigious wine region. 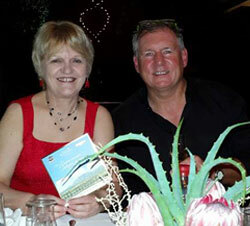 To Andy Watts’ surprise, the dinner was sold out in a day and 80 guests booked in when Andy was not expecting more than 30. Here again, the enthusiasm of the people who attended the event was striking. I had Bains served frozen with the starter, sauteed calamars in a coconut milk broth and this was very well received. In Europe I think there would have been people to shout it is a sacrilege. The day after, I visited the distillery with Andy. We spent two hours to taste what he calls “work in progress”, a series of finishes in different sherry type casks and also in pinotage casks. I will develop later but one of the experiments in particular was thrilling. A 3 year blend finished in pinotage casks. So fresh, so fruity with an appetizing rosé colour, it epitomizes a real South African whisky for me, mixing both cultures of whisky and wine. I hope this blend will soon be bottled. I would happily drink it as a “sangria” in a party! Lovely. I can’t wait to go back and taste more! “Pour finir en beauté” as we say in France, my friends took my to the Kruger Park for two days. The icing on the cake! We did not see lions nor leopards but the elephants and the buffalos were really impressive. 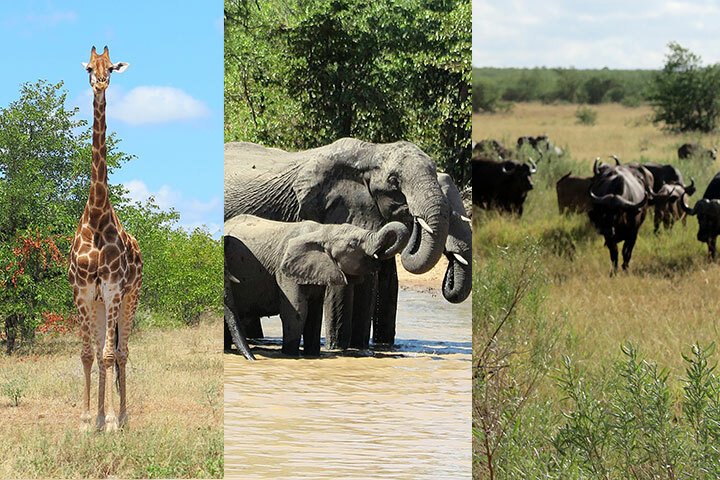 I now understand how they are classified as two of the Big Five! I quite liked the giraffes too and of course the impalas are the most graceful animals. I would not try and tease the crocs! On my return from South Africa, another “safari” was on the menu. VisitBritain had asked me a hand to organize a press trip for French journalists. The weather was with us. Sunny with a light breeze, clear star-lit skies, Islay and Jura at their best. 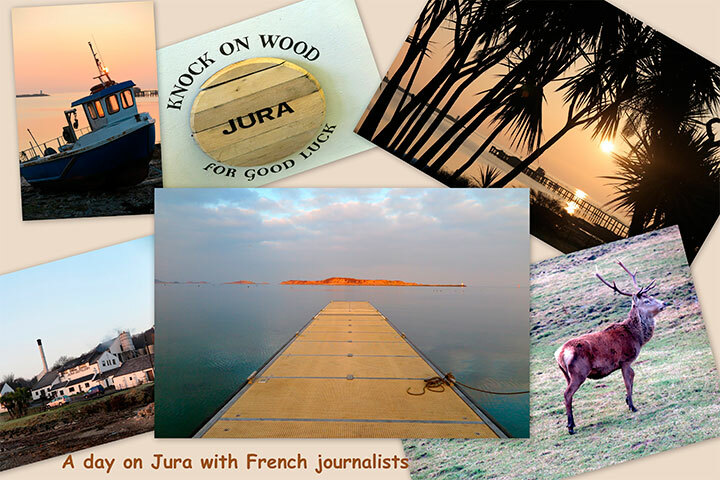 We saw deer, we had a witty Jura distillery tour with Willie Cochrane. In the morning the sunrise by the palm trees in front of Jura Hotel looked like coming out of the Caribbean. We missed the Northern lights though. Well, there is always space for improvement! Wow! This place sounds amazing! I can’t wait till we get a chance to visit! Keep up the good work, Eve, Dave and Steve!